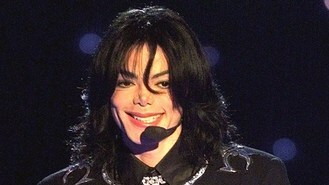 News - Jury to decide in Jackson lawsuit. Jury to decide in Jackson lawsuit. A negligence lawsuit by Michael Jackson's mother against his concert promoter is in the hands of a jury after a final plea by a Jackson lawyer to punish the company he portrayed as a heartless, money-making machine. In his argument, attorney Brian Panish, who represents Katherine Jackson, urged the six women and six men on the jury to find that defendant AEG Live LLC and Jackson shared responsibility for hiring Dr Conrad Murray, the physician who treated the superstar before his death. Jurors were led out of the courtroom by 10 armed sheriff's deputies assigned to guard them during deliberations. They spent two hours behind closed doors and then retired for the day. Panish used his rebuttal argument to urge the jury to find that AEG hired Murray without considering whether he was fit for the job. AEG lawyers say it was Jackson who hired the doctor. "Think of a bicycle built for two," he said. "Both can cause the harm." Panish showed jurors details of a contract that was drafted by AEG Live but only signed by Murray. He said it proved that AEG wanted to control the doctor. The plaintiff's last argument came a day after AEG Live attorney Marvin Putnam told jurors that Jackson was the architect of his own demise and no one else can be blamed. Putnam said Jackson insisted on hiring the cardiologist, despite objections from AEG Live. "It was his money and he certainly wasn't going to take no for an answer," he said. Putnam showed brief excerpts from the This Is It documentary to show that Jackson appeared in top form just 12 hours before he died. "AEG Live did not have a crystal ball," he said. "Dr Murray and Mr Jackson fooled everyone. They want to blame AEG for something no one saw."